Motorcycle Retro Replay is a publication that covers a golden age of sport in Enduro, Motocross, Road Racing and Trials from 1965 – 1985. Published in a high quality A4 portrait size format, it carries 132 pages with many of the pictures in both black and white and colour from a host of internationally recognized photographers, that have never been seen in print before. Each picture carries informative text on all the great names, machines and competitions associated with each of the four disciplines from the years 1965 – 1985. The text with each picture has its own story to tell and reflects on one of the greatest eras in motorsport. “This new publication is born from a passion of motorcycles that I have had from a very young age. 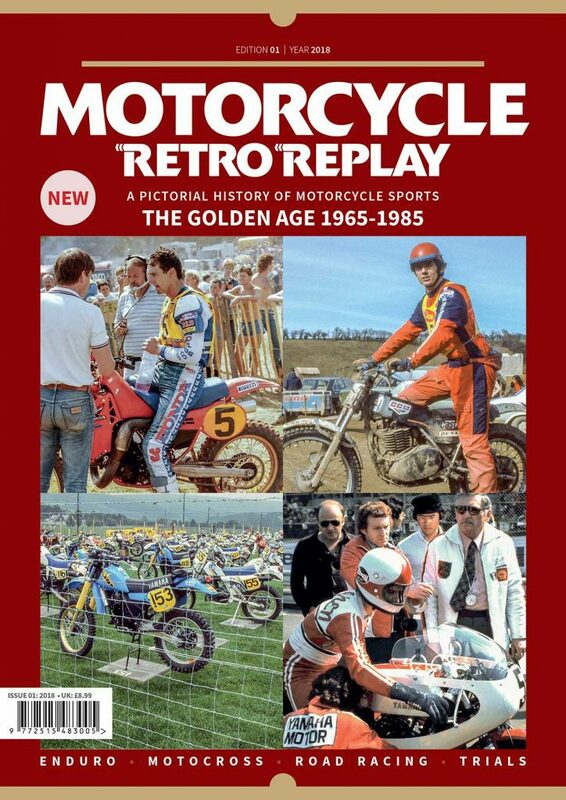 In my youth I attended many famous motorcycle events and using this early knowledge it’s a pleasure to bring Motorcycle Retro Replay to life in both print and digital formats. Motorcycle Retro Replay is available from selected retail outlets or you can purchase direct from our website.